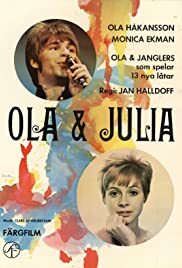 Ola is a pop idol, touring with his band in Sweden in the mid-60's. Julia is a young actress in a traveling theatre company. They meet and fall in love. A newly graduated doctor finds trauma too heavy in everyday work of the hospital. He is constantly facing new demands which ultimately threatens to overpower him. He is about to give up his career.